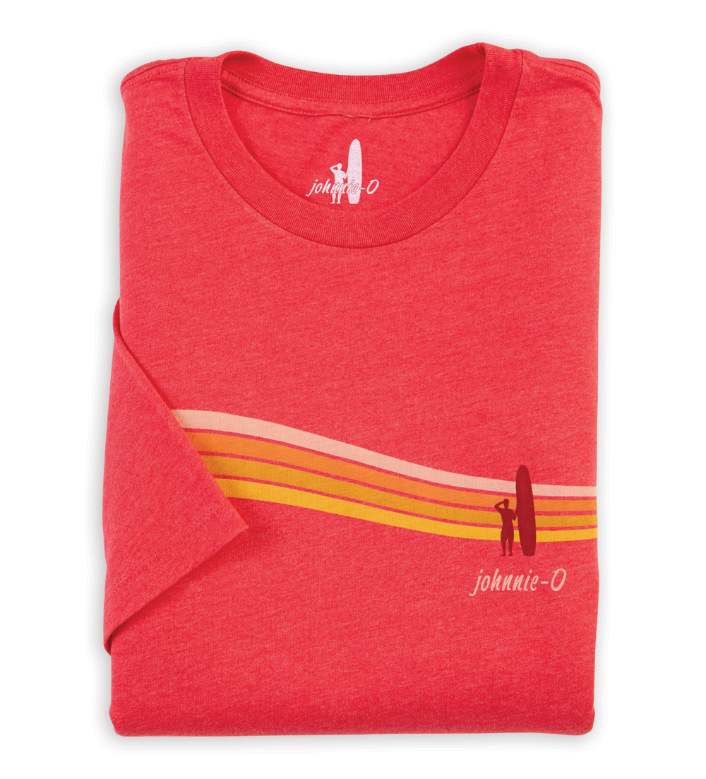 Crew neck tee shirt with Johnnie-O Logo on chest. Short sleeves, rib collar, straight bottom, open sleeve. 100% cotton. Machine wash. Imported.